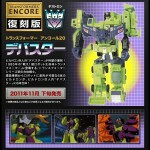 Back in June, it was announced that the Japanese Encore line was going to continue with the release of Devastator. I was quite surprised as it had been said in the past that the original toy molds for this figure had been either lost or damaged beyond repair. I also figured that if he was going to get a rerelease that it would have happened when the 2nd Transformers Movie, Revenge of the Fallen, was released as a new version of this character played a fairly prominent role. It was also surprising as the last Encore figure, #19, had been released almost a year and a half ago. I was beginning to think the entire reissue line had been cancelled, but this is certainly a great way to kickstart it off again. Here’s a little bit of history on the figure. Before he became a Transformer, he was part of the Japanese Diaclone line of toys. The vehicles in the set had a color scheme that included orange, red, and blue. 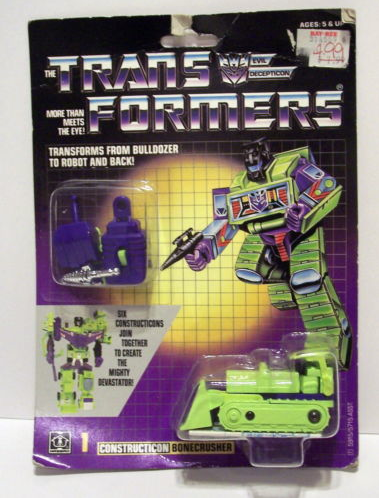 Hasbro imported him to the U.S. in 1985 for the Transformers line and went with a mostly all green color scheme. 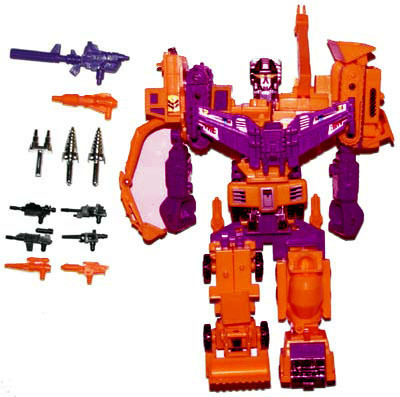 He was the first of many “gestalt” combiners and is the most recognizable of them to anyone who grew up in the 80’s. He consists of 6 construction vehicles that also transform to individual robots. 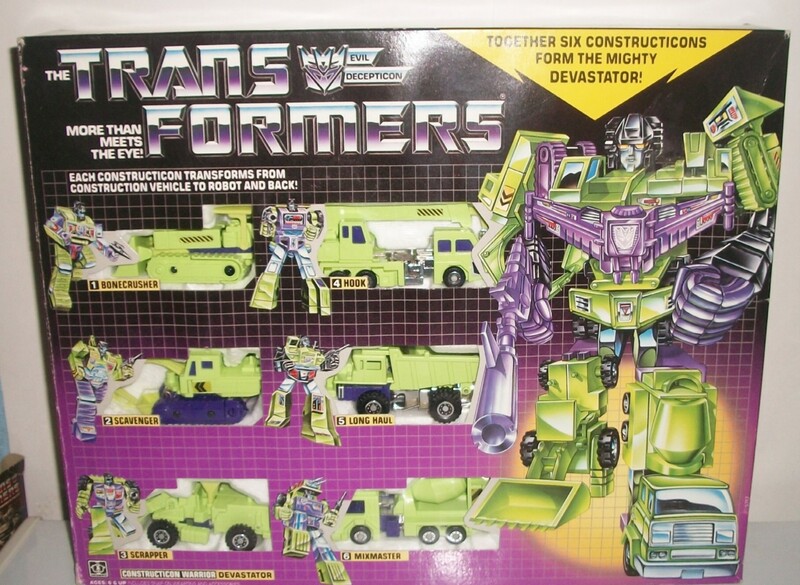 The unique aspect, is that all 6 of these vehicles together combine into a huge robot, Devastator. 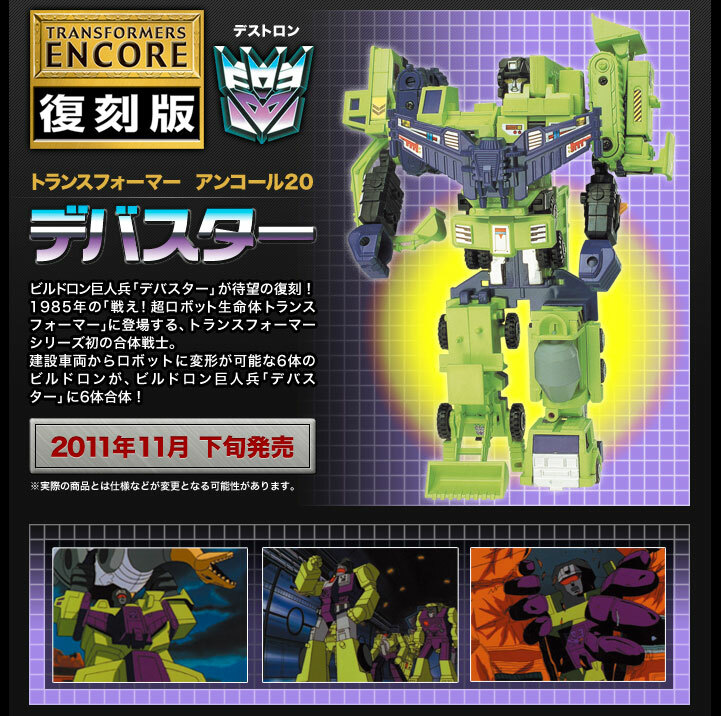 Each constructicon vehicle was available individually on card or if you were really lucky, you got the gift set box which had all 6. I never had any of these, but they were certainly on my want list. I can’t blame my parents though as I certainly had plenty of Transformers. (Thanks Dad!) 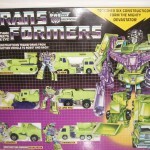 I remember a friend having one or two of the 6 figures, but I never got to see the full Devastator. In the early 90’s Transformers: Generation 2 started. 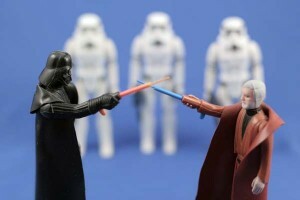 In the beginning they reissued a lot of the original toys, but used colors very different from the originals. 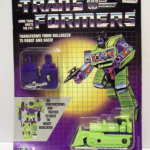 The Contructicons were released on cards in yellow and orange colors rather than the green from before, but were never released packaged together as a gift set. This was the last official versions until now. 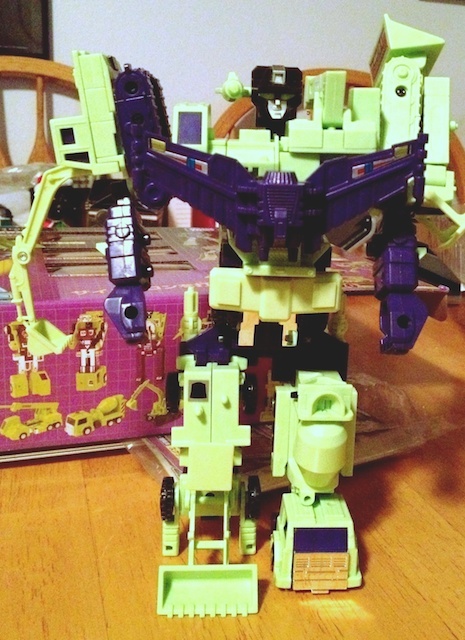 During the 2000’s a version of Devastator showed up at cheap toy outlets. These versions were Knock Offs and not official in anyway. They were made of cheap plastic and broke easily. 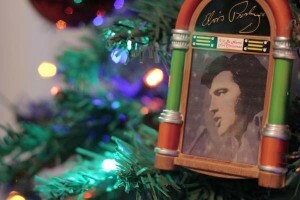 They were still interesting to see and I even picked one of these up at a local toy store in St. George. 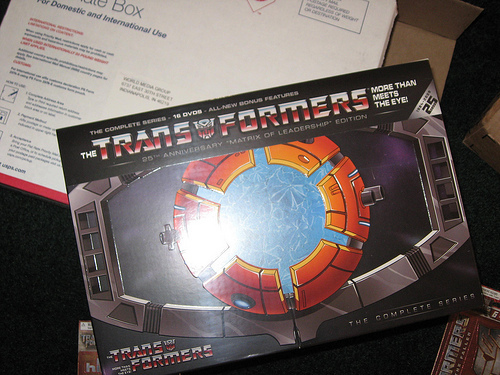 A few years ago now, another knock off was released, but this time much higher quality parts were used and it even came in a replica gift set box. I was certainly tempted to get one of these, but still held out hope that an official version might see the light of day again. Fast forward to November 2011 and the official reissue version is released in Japan. I was ready to buy it for myself as a birthday present, but Sarah told me not to. 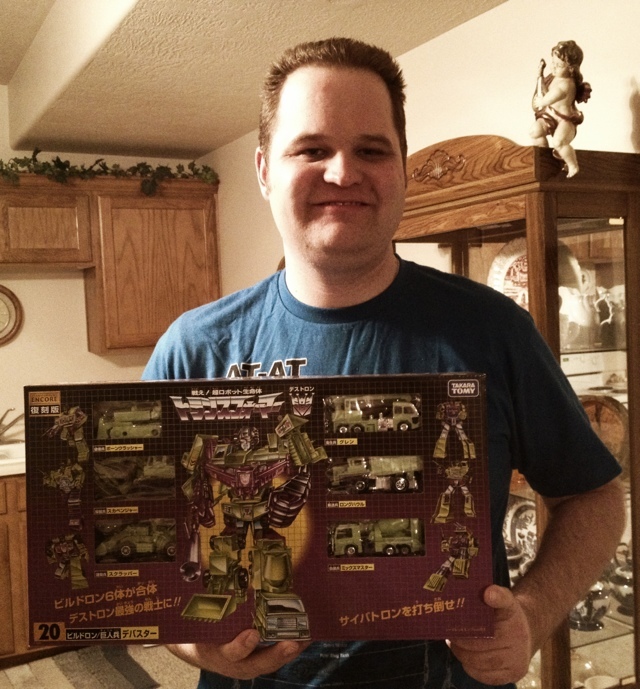 😉 She got me one for Christmas, so now here we are, 26 years later, with my very own Devastator. I had a great Christmas this year and thought I would share some of the great presents I received. To the left is a group shot of most everything. 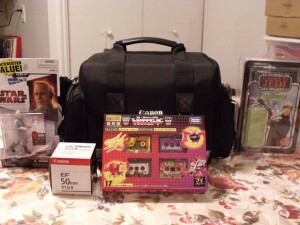 I got a few modern Star Wars figures, a Canon Camera bag to hold my new DSLR camera with plenty of room for flashes and lenses, a Lili Ledy (Mexico) Luke Jedi vintage cardback, Transformers Encore 17 Cassettes, and a Canon 50mm F1.8 Lens for the camera. 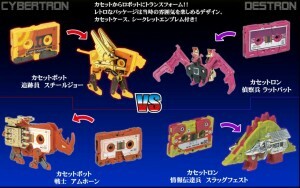 Here are some pictures taken from the Takara website that show the cassettes for Soundwave and Blaster. They recently released the 3rd set in Japan and I hope to add those sometime soon to complete the set. One nice little touch is the fact that the marking on the sides were stickers on the originals and on these they are actually painted on. Now there is no chance of them falling off and getting lost. I also had a very nice surprise this year. Some friends that I have met online grouped together and got me a Secret Santa gift this year. I’ve helped a few international collectors this year by having some items come through me and then mailing them on to them. There are quite a few sellers that will not deal outside of the U.S., so it is a way to help collectors still get what they want. Three collectors went in on this with two being from Australia and the 3rd in Romania. 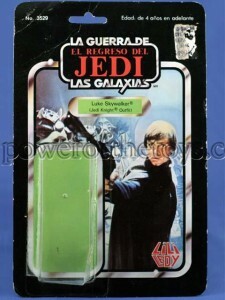 It is a Cardback with the bubble still attached for Luke Jedi from Mexico. The company that brought the figures out in Mexico was called Lili Ledy and all of those items are highly sought after by collectors. I hope to add the actual figure to go with the card some time this year. Finally, here are a few pictures that I have taken with the new lens. I’m still learning a few things with it, but am taking the pictures in full manual mode on my camera. It was an excellent Christmas and thanks to everyone for the great gifts. 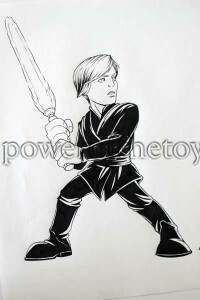 Last weekend was comic con and now Hasbro Toy shop has what is left over from the show available on their store. 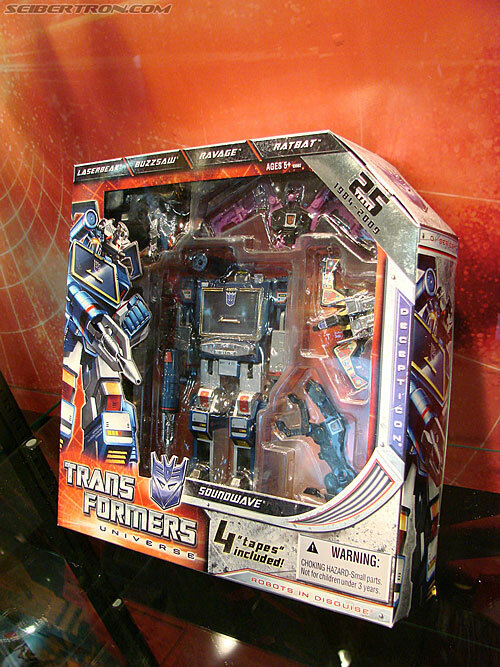 The big one that I almost want to buy is Soundwave This one is really a great deal for what you get. 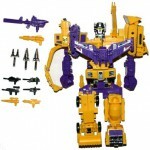 Included is the Soundwave figure and 4 of his mini cassettes for $49.99. The cost of 4 cassettes imported alone runs around the same price. After thinking about it for awhile though I think I am going to pass. I already have 3 Soundwave figures. A cassette pack was just released in Japan that I would rather have as it includes both Autobot and Decepticon cassettes that I do not have yet. However, if I didn’t have a Soundwave yet, this would be the set to get. Here is an in box picture of the figure. 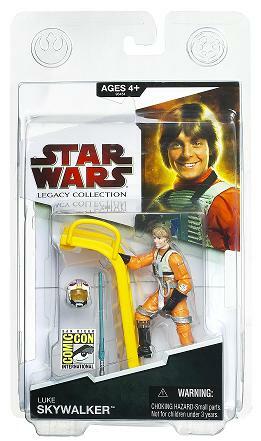 The Star Wars exclusive this year is Luke in his X-wing pilot gear smiling. 🙂 The figure also includes the first ever release of the X-Wing ladder, so now he can climb into his X-Wing like in the first Star Wars movie. I wasn’t too excited about this exclusive, but for $10 I might go ahead and order one. All of the exclusives can be viewed on hasbrotoyshop.com and just typing comic-con in the search box. Once these sell out direct from Hasbro the only other way to get them will be the secondary market (ebay, brianstoys, etc), which means most likely a much higher price. I went home quickly during lunch to see if the postman brought me a package and he did! I decided to join the other million youtube people out there and do an unboxing video. This is the first time I have done this, so go easy on me. I think I was kind of nervous. The video is currently processing, but should be up shortly. Thank you for shopping with Shout Factory. Your order confirmation number is xxxxx. Please note that if you have setup a MyExpressCheckout with us you can view the status of your account and your orders at any time through the “Account Status” link on the navigation bar or you may view order history at http://www.myexpresscheckout.com/wallet/. If you have any questions regarding your order, please contact our customer service department by sending an e-mail to SHOUT@b3custserv.com so we may accommodate your request. I checked the forums at tfw2005.com and someone already received theirs. Hopefully that means I’ll get mine in the next day or two. Here is a teaser photo from the above post.